Are you interested in learning about spiritual growth? Attend the Bible study on Sunday 11:00 am. Spiritual growth is a lifetime process for every Christian. No one can outgrow the need to study God’s word. This study is designed to guide maturing Christians as they submit their lives more completely to the will of God. This study will assist you in leading a more fulfilled walk with the Father and will challenge you to be a powerful Christian examples to others. On Sunday, April 21 starting at 9:30 am brother Walter Gardner from the Princeton Church Of Christ will be our guest speaker. Come hear this evangelist expound the word of God. WE ARE TO WALK IN NEWNESS OF LIFE. Being “buried with him by baptism into death….even so we also should walk in newness of life” (Romans 6:4). The person who has been born of God does not commit (continue living that old life of) sin characteristic before their conversion (1 John 3:9; Romans 6:1, 2). Such obtains on the basis of the persons genuine repentance (2 Cor. 7:10; Heb. 6:1). WE ARE TO DESIRE THE SINCERE MILK OF THE WORD. “As new born babes, desire the sincere milk of the word, that ye may grow thereby” (1 Peter 1:22, 23). This means I will (1 Tim. 2:15), study (2 Tim. 2:15), and meditate upon (1 Tim 4:15) God’s eternal word. WE ARE TO BRING GLORY TO THE NAME OF CHRIST. Though I may suffer as a Christian I am to glorify God in this name (1 Pet 4:16). I am to never so live as to bring shame upon this high and holy name. Alexander the great conquered the world and wept because there was no more to conquer. But he had a coward, with his name, within his ranks. Alexander called this man into his presence one day and sternly said, “You change your way of living or you change your name!” We wear the name of Christ (Christian). We should live worthily of it. Otherwise, let us not hypocritically thus be identified! WE ARE TO CONTINUE STEADFASTLY. Of those who were baptized on Pentecost it is written, “And they continued steadfastly…” (Acts 2:42). I am to be “steadfast, unmovable, always abounding in the work of the Lord” (1 Cor. 15:58). I am not to be in and out, on and off, up and down, and hot and cold spasmodic, irregular, hit and miss in the Lord’s work. Inconsistent living will not get the job done. WE ARE TO SEEK THOSE THINGS THAT ARE ABOVE. “If ye then be risen (referring back to having been risen from our burial with Christ in baptism, Col. 2:12) with Christ seek those things which are above…set your affections on things above, not on things on the earth” (Col. 3:1, 2). The Christian’s interest and affections are not only to run horizontal but vertical! Our father is in heaven (Mt. 6:9). Our citizenship is in heaven (Phil 3:20). Our inheritance is in Heaven (1 Peter 1:4). Our names are written in Heaven (Heb. 12:32). Our treasures are in Heaven (Mt. 6:19-21). Truly, then, we are to seek those things that are above, setting our affection on things above. WE ARE TO TELL OTHERS ABOUT THE SAVIOR. Immediately upon his conversion Paul shared Christ with others (Acts 9:20). Upon finding Christ, Andrew and Phillip told Peter and Nathaniel (Jn. 1:40-51). We have been won to win, saved to save, converted to convert, discipled to disciple. “And things that thou has heard of me among many witnesses, the same commit thou to faithful men, who shall be able to teach others also (2 Tim 2:2). Introduction: Luke gives an interesting and informative account of the work of Philip, the evangelist. He makes two statements about Philip that will serve as a beginning for this lesson (Acts 8:5, 35). I. WHAT DID PHILIP DO WHEN HE PREACHED CHRIST? A. Many of the details are not given in Acts 8. He did not preach his opinions. Nothing has damaged the cause of Christ more than man’s opinions. Likewise, he did not preach any modern denominational dogmas or doctrines. He did not preach human wisdom or philosophy (I Cor. 2:12, 13). B. Guided by the Spirit, he preached the same as the apostles. What he preached was true (John 16:13). All-Spirit guided men taught the same things. They could not preach conflicting doctrines and be from God. They warned against anything else (Gal. 1:6-9). We can and must follow the Spirit-guided men of the N.T. We will know what it means to preach Him. 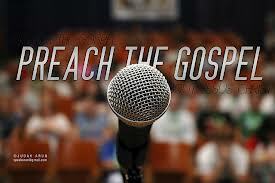 We will know how to recognize true preaching (I John 4:1). II. APOSTOLIC PREACHING INCLUDED THE LIFE OF JESUS. A. His life was one that was approved of God. This was the opening argument of Peter (Acts 2:22). God declared His approval by miracles and words (Mt. 17:5). Christ’s life was approved because it was obedient (Phil 2:8; Heb 5:8-9). If we follow Christ, we obey (I Pet. 2:2). B. Christ’s life ended in His sacrificial death upon the cross (Acts 2:23). His atoning death played a conspicuous part in N.T. preaching (I Peter 2:23; 1:18, 19). Philip preached Christ’s death “from this scripture” (Acts 8:32-35). C. The burial of Jesus is prominently discussed in N.T. writing and preaching. While His burial may have seemed like the end, it was not (Acts 2:27). Thus to preach Christ is to preach His resurrection from the dead (Acts 2:32; Rom 1:4). Today the resurrection is denied, rejected, and ridiculed; even in some pulpits. If one does not preach the resurrection, he does not preach the gospel (I Cor. 15; 1-4). If the resurrection is not preached and believed, Christianity is a waste of time (I Cor 15:13, 14). After His resurrection and appearances, Jesus ascended to His Father (Acts 2:33). III. LET US NOW CONSIDER THE COMMANDS OF JESUS. A. We must preach His commands. He tells us to believe in Him (John 8:24). Spirit-guided men preached this (Acts 2:36). He requires us to repent (Luke 13:3). Men guided by the spirit taught this (Acts 2:38). He requires that we confess Him (Mt. 10:32, 33). Spirit- guided men taught this (Rom 10:9, 10). He commands baptism (Mk 16:16). This was preached (Acts 2:38; 10:48). Let us see what Philip did (Acts 8:35-39). Anyone who suggests you can be saved without obedience is not preaching Christ (Luke 6:46). IV. STILL OUR SERMON IS NOT COMPLETE. WE MUST MENTION THE PROMISES OF JESUS. A. It is on His promises that we stand (II Pet 1:4). The first is the remission of sins. The only thing to cause us to be lost is sin (Rom 6:23). Christ came to make forgiveness possible, and he forgives when we are baptized (Luke 24:47; Acts 2:38). B. Another promise is eternal life with Him (I John 3:2, 3). This follows a life of godly service (Rev. :10). Conclusion: This is the divine pattern for preaching Jesus (I Pet. 4:11). What the hearers did then is what they should do now (Acts 8:35-39; 2:41, 47). Introduction: The gospel was spreading (Acts 2:41; 4:4). Such antagonized the Jews (4:1, 2). Preaching was forbidden (4:18-20). The apostles did not stop. So the Jewish leaders cast them into prison. An angel released them, and again they were instructed to stop (Acts 5:28). To this order Peter makes his reply (5:29). I. THIS WAS AN EXPRESSION OF DEEP CONVICTION. The word “must” expresses a necessity, in this case, a necessity of law and duty. Jesus told the apostles to preach (Mk. 16:15). So did the angel who released them (Acts 5:19-20). The rulers say, “Don’t preach.” Where does Peter’s duty lie? B. Contrast the attitude of the apostles with some others. Pharaoh had no concept of duty to God, only to self (Exod. 5:1-2). He was not about to let them go. He felt no obligation to do what God wanted. How do you react to God’s will? King Saul rejected the word of Jehovah when he put the desires of himself and others above God’s commands (I Sam 15:22-24). Peter has an opportunity to do the same, but refuses. Peter’s answer is still true. “We must obey God.” Peter had the courage of his convictions and did what he said he must (5:42). Do you have the conviction of Peter? Peter knew God raised Jesus. Thus whose power was greater- man’s to kill, or God’s to give eternal life. Whom must we obey? (Mt. 10:28). II. WHY WE MUST OBEY GOD. A. The first ground of obligation to obey God is found in the character of God. We must obey God because He is God. It is right and proper that the creature obey the Creator. It is eminently fitting and reasonable that a holy God should make demands for the weak and sinful creature. We must obey God because He is the Creator and Sustainer of the universe (Heb. 1:10-12; 11:3). He has given us our being in the world and has preserved that being. Since God has done for us what man cannot do, and has done more for us than it is possible for man to do, we are more obligated to God than to man. B. When God created the earth, He gave natural laws to regulate its functions (Genesis 1:1). The natural laws are as old as the universe, and shall never cease until the world ends (Gen 8:22). Why? They are God’s laws. Any disobedience is out of place in an obedient universe. This principle is true in regards to moral and spiritual law. The Creator has given such (Heb. 1:1-2). When we violate God’s law, we bring death and destruction (1 John 3:4; Rom 5:12). Ultimate personal destruction will come when we refuse to obey God (Acts 3:23). C. We must obey God because obedience makes us what we should be. All of us in our serious moments of reflection want to be better. How do we improve? God created us and knows what is necessary for us. His scriptures tell us what to do (2 Tim 3:16-17; 2:15). Everything worthwhile takes effort. Are we willing to pay the price (Heb 5:8-9)? We must recognize the need to obey God just as Jesus did (John 8:29; Matt 26:42). D. We must obey God because no one else is worthy of our obedience. Only God is worthy of our undying trust and obedience. Moses tried to impress this on the minds of Israel (Duet 4:39-40). Under the N.T. it is no less true (Jn. 6:68). E. We must obey God because judgment is coming (II Cor. 5:10). It is not our purpose to bring about obedience through fear, but Jesus used judgment to warn people (Matt 7: 26-27). Those who live in disobedience are God’s enemies (Col. 1:21). Every enemy will be put under the feet of Christ (1 Cor. 15:25). A. Such obedience is a demonstration of one’s desire to put God first in all things. We are taught to love God supremely (Mt. 22:37). If we love God as we should, we will keep His commandments (John 14:15). When one refuses to obey men, and chooses to obey God, he is demonstrating his love for God in his life. B. Obedience to God shows that one does not love the world. Most people need to get a divorce from the world (I John 2:15). 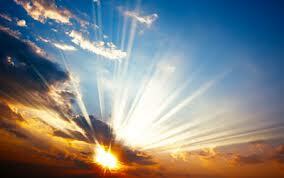 When a person obeys God in spite of men, he has developed an appreciation for things heavenly. His obedience is a manifestation of a character that is heavenly minded. Introduction: To the persecution and immorality that threatened the church is now added another crisis –dissension within the church. A. The church was called upon to meet some human needs which were of very unusual occurrence. The church had a daily ministration (6:1). This involved providing physical necessities to those members in need (2:45, 4:32, 34, 35). Jews had gathered at Pentecost where thousands were converted (2:41). Although some were hundreds of miles from home, they remained to learn more of the way Christ. (2:42). B. Nevertheless, God expects us to give liberally when care of the poor in the church is presented to us.The church in Jerusalem reveals its purpose as God intended (6:3,4). “This business” was to “serve tables”. This was a vital work, but secondary. The first work of the church is the “ministry of the word”. Physical needs did not cause the apostles to forsake proclamation (6:2). The work of serving tables and preaching was too much for the apostles. One part had to be shifted to someone else. The ministry of the word is connected with prayer (Eph 6:18-20). C. Even table servers in the church must meet high qualifications (6:3). They were to be of good report. To be full of the Spirit is to produce the fruit (Gal 5). To be full of wisdom is to have the ability to apply the facts. The apostles did not select the men. They required the church to do this. The apostles determined the qualifications. D. This is the second problem in the church. The first, hypocrisy, was solved by God (Acts 5:1-13). When the problem was solved, the church grew (5:14). In this case, good judgment, a gracious spirit and the “golden rule” were applied and the problem was solved. In each case the problem was solved quickly and the church grew (6:7). The apostles’ action was a wise one (6:5). They showed a willingness to share responsibility. They did not covet the limelight. Church leaders who demand preeminence are disasters (3 John 9). The word “increasing” simply means it continued to exercise its power and influence. The apostles could give more time to preaching. Since more preaching was done, more people became disciples. The church in Jerusalem was made up of happy people. It had good leadership. It was actively involved in preaching. Thus it was no accident that it was growing. “The faith” which priests obeyed must be “the word of God” which the apostles preached. There must be something in the faith that demands obedience. The believers on Pentecost were told how to obey (2:38). The commands did not change (3:19). Whenever faith is mentioned as the basis of God’s forgiveness, it is an obedient faith which is meant (Rom 1:5). A. Stephen’s opponents are identified as Jews from foreign lands. “Libertines” might better be translated “Freedmen”. Why such opposition came from this group is not easy to say. Whatever the cause, they cannot answer the arguments Stephen makes (6:10). It was the great wisdom of Stephen supplied by the spirit of God that enabled him to vanquish completely all opposition to the truth he preached. It will be the same with us (II Tim 3:16-17). Since his enemies could not withstand his wisdom, they followed the example of their leaders and determined to silence him. They had no scruples (6:11). “suborned” means “bribed”. It is the mystery of evil that in every generation there are champions of every lie ever invented by Satan and that some of those defenders are “church’ people. B. The same charge is made against Stephen which was brought against Christ (6:11; Mt 26:65). 1. The charge was a lie. Blasphemy was the general charge of which certain specifics were purported (6:12-14). The whole procedure is evidence of the prejudice of the leaders. Jesus did prophesy the destruction of the temple, but not that He would do it. Stephen had taught the new covenant in which the customs of Moses would be changed but such would not be by force. C. Stephen is not moved by fear (6:15). It seems likely that those who saw his face never forgot it. Conclusion: This chapter serves as a preliminary to the murder of Stephen. It shows the power of faith in Stephen. Will you accept Jesus by obedient faith? (Mk 16:16; Acts 2:38; 22:16). Introduction: Those who are interested in church growth are forever trying to find the right method. Being the right kind of people and having the right kind of heart is much more important than the method we use. I. He Will Build On Spirituality (Phil 2:5). This means we are to become like God. As we develop spirituality, we have the mind of Christ. When a church begins to think as Jesus did, it will be an evangelistic church (Luke 19:10). It takes spiritually minded people to give, work, and live as to cause the church to grow. B. Let us resolve to develop ourselves spiritually. 1. We should put into our schedule time each day to study God’s word. We should also schedule a time to win souls each week. We never have time; we must make it. 2. How did the church grow so greatly in the first century? Not because of miracles, but the gospel (Rom 1:16). Boldly they preached (Acts 5:42; 6:7; 11:21; 12:24). 1. If God’s people had the degree of love they should, more people would be eagerly listening to what we have to say. People rarely see genuine acts of love. 2. We can help them. Many would want to be a part of us and would gladly listen to our message. III. Build An Evangelistic Leadership. A. One of the greatest problems in the church today is leadership. B. Far too often leadership is hesitant. Whether we are interested in church growth or not, God wants it (Luke 14:21, 23). Go quickly! IV. Build a Trained Membership. A. After we have taught and baptized people, we are to teach them to teach others (Mt 28:19, 20). There is teaching before and after baptism. That after baptism involves teaching converts to do all that Christ commands. That is in the N.T. (I Tim 3:15). The early disciples went preaching (Acts 8:4). We can touch the lives of more than the average Christian did in the first century. B. There are not many soul winners in most churches because we have not trained soul winners. V. Build By Sowing Bountifully. A. We have the guarantee of God that if we sow bountifully, we will reap bountifully (II Cor 9:6). The principle is true in any area that requires sowing. If we want a crop of Christians, we must sow seed of the kingdom bountifully. B. The Jerusalem church was accused of having filled their city with doctrine of Christ (Acts 5:28). They sowed the seed bountifully daily (Acts 5:42). Even persecution did not stop the early Christians (Acts 8:4). More than half the world today has never heard of a portion of the gospel. VI. Build With Evangelistic Assemblies. A. The Bible teaches we are to worship properly (John 4:24). The Corinthians became spiritually sick because their worship was lacking (1 Cor. 11:30). Our meetings need to be always warm, friendly, vibrant and joyful. B. Let us take a hard look at our assemblies. Why should anyone return if there is nothing for them? VII. Build By Faith (II Cor 5:7). A. If we plan with faith, God will bless our work. B. It takes a positive attitude to build an evangelistic church. Weak faith will not fill classrooms, cause sacrifice or powerful preaching. The only real motivation is by what we believe. Faith comes from Gods word (Rom 10:17). Faith is powerful (Mk 9:23; Phil 4:13; Lk 1:37). C. The first few chapters of Acts describe the growth of the Jerusalem church. After some 3000 converts the first day, there were additions daily (Acts 2:41, 47). Soon the number was thousands (Acts 4:4). The early church was sowing a lot of seed? Why? They had faith! Why not pray for the things that will enable you to lead people to Christ? (Jas 4:3). Prayer will cause us to love each other, to love the Lord, to grow spiritually, to have greater faith and dedication, and to work harder for God. B. Such a church will become a truly evangelistic church where God is glorified (John 15:8). Conclusion: Apostolic methods have not failed. God is not a God of failure. Who is in control of your life and this church? If God does not control your life, let him. The Work of An Evangelist! INTRODUCTION: There is a real need to know the responsibilities of a preacher. The N.T. places an importance on the work of preaching which must be respected by every person who claims to be a preacher. I. FALSE STANDARDS OF MEN. A. If popularity is what men expect of preachers, one should ask how popular were Paul and Stephen. 1. If a man-pleaser is what is expected, one should know that such does not please God (Gal. 1:10). People are indeed spiritually weak if they must have a preacher’s social call to keep them serving God. 2. All Christians, including preachers, are to visit the sick (Mt. 25:36, 43; Jas. 1:27). B. An entertainer is what many people look for in a preacher. 2. Many think all speeches should amuse and entertain. Such is not fitting in dealing with souls. II. GOD’S STANDARD FOR PREACHING. A. When men begin to look at preachers, they expect one thing; but when one studies the N.T. he sees that God expects something different. 1. The books of I and II Timothy and Titus set forth God’s expectations of preachers. 2. These books serve as a handbook for preachers. B. Preachers are given serious responsibilities toward false teachers. 1. There will arise false teachers who must be opposed (I Tim. 1:3,4). Brethren must be told of departures from the faith (1 Tim. 4:1-6). This is needed because of the consequences of false doctrine (I Tim. 6:3-5). 2. If brethren go astray, they must be corrected (Titus 1:13). The preacher’s purpose is not just opposition, but improvement. C. In relationship to the local church organization, a preacher has certain responsibilities. 1. He must teach the qualifications of those who will oversee (1 Tim. 3). 2. He must see that elders are appointed, and that what is lacking is set in order (Titus 1:5). D. To the church he has many teaching duties. 1. In all his work, a preacher is to be diligent and dedicated (I Tim. 4:15,16). 2. A preacher must teach concerning prayer, modesty, and the place of men and women (I Tim. 2:1-4, 8-15). He must instruct all on proper conduct (I Tim. 3:15). 3. Brethren must be made to see the gain of godliness (I Tim. 4:7-10). A preacher must teach the responsibilities of all ages in the church (Titus 2:1-6). 4. He must rebuke sinners without partiality (I Tim. 5:20, 21; 6:17-19). He must also teach men to be teachers (2 Tim. 2:2). Brethren must be told to avoid fussing among themselves (2 Tim. 2:14). E. Basically, a preacher’s work is that of an evangelist (2 Tim. 4:5). 1. An “evangelist” is a bringer of good tidings. It has nothing to do with traveling. 2. The same man is called a preacher, which tell what he does. He proclaims a message. F. Preachers have responsibilities to themselves. 1. Each must fight the spiritual fight (1 Tim. 1:18). There may be attempts to get him to put aside his armor. He must be a good example (Titus 3:9). This is certainly a most frightening responsibility. 2. A preacher must avoid foolish controversies (Titus 3:9). The Christian must stand aloof from needless squabbles. He must reject a factious man (Titus 3:10). 3. In all things he must be one who is not ashamed (2 Tim. 2:15). G. Preaching is assigned to men. Christ has never authorized women to do this work. Women who love the Lord will not usurp man’s work (1 Tim. 2:12). CONCLUSION: The work of preaching is vital in God’s plan to convert men (1 Cor. 1:21). Christ said, “Go, preach” (Mk. 16:15). Philip preached (Acts 8:5). A preacher puts forth labor for which wages are paid (2 Cor. 11:8; I Cor. 9:14). The soldiers of Christ must arise. Christians individually and the church which they compose are to be militant. The devil is our enemy and seeks to destroy our soul. (I Peter 5:8, 9). He will be successful if we do not fight (I Tim 6:12). We are under the banner of Christ (Heb. 2:10). The soldier of Christ must put his armor on. The Christian’s armor is provided by God (Eph. 6:10-17). “Stand then, with the belt of truth buckled around your waists.” This belt supports and braces the soldier ready for action. “Truth” will support the Christian in any battle. It is imperative that one learn truth and apply truth if the enemy is to be resisted (I Peter 5:8, 9). “Having the breastplate of righteousness.” The Christian must “follow after” or pursue righteousness (II Tim 2:22). Righteousness must be sought (Mt. 6:33; Psalm 34:5). Only when one works the works of God by obeying His command and accepting the gospel wherein righteousness is revealed can one be saved (Psalm 119:72); Rom 1:16, 17). “Feet shod with the preparation of the gospel of peace.” This is not peace at any price. Peace must never be put above purity in doctrine and practice (Jam 3:17). “And take the helmet of salvation.” Those addressed are Christians. They already enjoyed salvation from sins. “Some think the apostle is looking ahead to the eternal salvation (I Thess. 5:8). 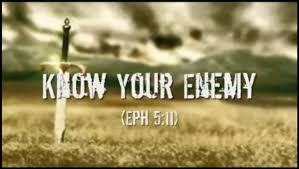 “And the sword of the spirit, which is the word of God.” This is the Christian’s powerful offensive weapon (Heb. 4:12). The devil cannot stand against it. II. Our Strength Is In The Lord And We Are To Trust Him. Our strength is only in the Lord (Phil. 4:13). Many feel self-sufficient and trust in themselves. The Christian is Christ-sufficient and trusts in Him. He is in Him and draws his strength from Him (Prov. 3:5-7). “Trust” means “cling to” or “confide in”. We are to trust in the Lord and not ourselves (Jer. 10:23). Trusting in the Lord is the essence of faith (Psalm 62:8, 22:4, 5). The Christian draws strength from Christ (II Tim 1:12). He can direct our lives only if we know and follow His directions. We run into problems when we trust in ourselves (Rom 12:16). The Lord’s trustworthiness has passed the test of experience. Only through faith and trust in the Lord can we be more than conquerors (Rom 8:37). Let us live like we believe it, responding to the Lord’s love with our faith and trust. Banish fear of failure and don’t contemplate defeat (I John 5:4). III. We Must Stand In His Great Might. If the Christian is to be strong at all, it will be due to God’s power to give victory. When one is saved it is through faith in God’s great power (Rom 1:16). God’s power is available (Eph. 3:20). This power works in the Christian through the word of God (Col. 1:10, 11). The Christian is to stand in God’s great might, endued with His great strength. The Christian Must Always Be On Guard. We must continually be on guard. Let us be watching for the enemy who seeks to devour us (I Pet. 5:8). Any weakness in us must be shored up (I Cor. 16:13). A good soldier will stand his ground. He will never waver between one doctrine and another, but contend for the faith (Jude 3). The soldier of Christ will take every virtue, every grace (II Pet. 1:5-7). These characteristics are to become an integral part of the Christian’s character. We are striving to overcome evil (Rom 12:2). Our faith is in Jesus, the Son of God. This faith must be maintained by active obedience. We do not overcome the evil one and stand entire at last through our strength and ingenuity, or through some church creed or organization, or through some man; but through faith in Christ alone. This is why we preach Christ (Acts 8: 5, 35). This is why Christ’s death, burial, and resurrection is the heart of the gospel (I Cor. 1:23; 2:2). It is in Him that we stand entire at last (Col 2:10; II Tim 4:7, 8). Conclusion: The crown awaits all who wait with expectation for the coming of Christ. Have you put off starting on the way (Acts 22:16). Introduction: Satan will do anything he can to destroy the church. If he is to have any success, he must gain it by attacking those who follow Jesus. Satan tries to create internal problems (Acts 5). A. Basically, the sin of Ananias and Sapphira was hypocrisy. Some would have thanked Ananias for the gift. Not Peter! Being honest and outspoken, he rebukes the wrongdoer. Ananias lied and died (5:5-6). God is not mocked (Gal 6:7). We see God’s attitude toward hypocrisy. The attitude of Jesus is not hard to learn (Mt. 23:13, 15). B. Sapphira, the wife, felt the same sting of punishment (5:7-10). Why were this man and wife punished so severely? The results tell us (5:11). To produce such fear as to deter others. The true church must be free of hypocritical profession. God punishes the lying lips of those who sought the praise of men rather than God. This is another example of the honest realism of the Bible. Conditions are presented as they actually were. C. The immediate result was more growth for the church (5:12-16). The healings were secondary to preaching and adding souls (5:14). II. The Second Imprisonment of the Apostles. A. The cause of this persecution (5:17, 18). Again it is the Sadducees leading the opposition (4:1). The apostles preached much about the resurrection of Jesus (2:32; 3:14, 15). This contradicted one of the main points of Sadducee belief. “They were filled with jealousy”. The success of the apostles created intense indignation, many believed the apostles teachings (2:41; 4:4; 5:14). The Sadducees were losing ground rapidly. B. God’s angel released the apostles and sent them back to preach (5:19-21a). It takes more than a human prison to stop the work of God. Four reasons have been suggested why the Lord intervened here, but not always in other cases. a) It was a reproof to the Jewish leaders. b) It encouraged the apostles in their preaching. c) It convinced any doubtful Christians. d) It was proof of the truth of the apostles’ preaching. 2. The apostles lost no time getting to the people. The message was “the word of this Life” (5:20). This is dependent on a living Christ, and a living Christ is dependent on His resurrection. III. Courage In Face of Persecution. A. The apostles again are brought before the rulers (5:25-29). The angel did not promise that there would be no more persecution. God’s approval of our efforts does not exempt us from hardship and possible persecution. The Sadducees prefer not to mention the name of Jesus (5:28). The charge was a great compliment to the apostles. The apostles did it because they were busy every day. Human authority said, “Don’t preach”. The apostles must obey one or the other. The choice is simple (5:29). The apostles preach to the leaders of their guilt and need to repent (5:30-32). The testimony could not be gainsaid or honestly denied. The Jews who rejected it proved themselves dishonest and unworthy of respect (5:33). They did not want credit for killing Jesus (Mt. 27:25). B. The apostles were saved from death by Gamaliel (5:34-39). The merits of Gamaliel’s advice depend on which point of view you take. As a general rule, it is poor. Instead of waiting, every lover of truth should promptly investigate (Acts 17:11). Public opinion or great success do not prove that anything is true, especially religion (Mt. 7:13, 14). One finds no middle ground when confronted with Jesus. One cannot take a wait and see attitude. If Gamaliel’s advice is looked at from the point of view, “Should we attempt to crush this movement with violence?” then his counsel is good. Notice again his comment (5:39). You need to decide the question, “Is the gospel from God?” Why not accept the gospel as God’s power (Rom. 1:16; Mk. 16:16; Acts 2:38). IV. Rejoicing in Persecution (5:40, 41). A. Very early in His ministry, Jesus pronounced happiness to sufferers (Mt. 5:10-12). Any suffering the council could impose upon them was nothing compared to eternity. Thus they are happy to suffer for Christ (II Cor. 4:17; Rom 8:18). It is better to be beaten than to fight against God as the Sadducees were doing. B. So the work went on unabated (5:42). Conclusion: All who could admire moral heroism were drawn to the apostles who turned them to Christ. It is love that gave such strength to men (Jn. 3:16) Will you not accept him (Acts 22:16)?